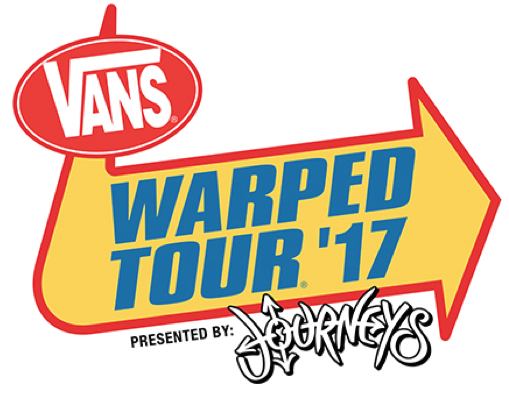 In addition to bringing together bands from a multitude of genres, including metal, hip hop, punk, reggae, pop and more, the 2017 Vans Warped Tour®, presented by Journeys®, goes so far beyond just music. Attending the Vans Warped Tour is a sensory experience at every corner. Whether you are buying an iconic pair of Vans, educating yourself on a entertainment industry degree from Full Sail University or taking in some new information from truth®, you can do that all within a 20 foot radius of each other. If you wanted to hear some new bands, you could pick up a pair of wireless Skullcandy Headphones while flipping through the latest edition of Alternative Press Magazine. If you're thirsty, you could enjoy a cold Mutant Super Soda drink or meet your favorite bands at the Journeys tent. These UK and Australia based bands have enjoyed Maltesers® for years back home. This summer, Maltesers® is crossing the United States and introducing Warped fans to their delicious chocolate treats! Warped Tour attendees in Seattle had a very special guest, when a SnapChat Spectacles SnapBot dropped in to see some live music! You could head to the Blaze Pizza skate ramp for a photo or an after party at the local brick and mortar store for acoustic show with Jule Vera on select dates. This tour truly has something for everyone. Ernie Ball's tent provides an opportunity to pick up a guitar or bass and play along to your favorite songs linked up to an iPad. WWE™ Star Seth Rollins™ has his new clothing line the Black & Brave out on the tour. Warped Tour alumni fans or those celebrating their first time are going to see that these sponsors truly love the 23rd annual festival and have put so much creativity and heart into what they do and it shows. Vans Vice President Steve Van Doren shares, "Vans is extremely excited to kick off the 23rd year of the Vans Warped Tour, Presented by Journeys. There are nearly 100 bands playing all summer and diverse sponsors as well as non-profit organizations they can be involved in by simply donating cans of food in each city or taking part in the 60,000 pints of blood donated each year." Journeys is returning for their 4th year and loves Warped Tour because of the fans and how "people feel included and have a sense of community." They help curate various bands to watch before Warped and this year featured videos in their stores from Movements, Counterparts, Boston Manor, The Gospel Youth, The White Noise, Microwave and Trophy Eyes. Skullcandy is returning for the first time since 2011, which means they are back with updated technology including their Wi-Fi and Bluetooth wireless headphones. Fans can head to the #StayLoud listening stations where they can not only hear, but FEEL Warped Tour bands through their headphones incredible bass levels. $5 from each of their Warped Tour exclusive shirts goes to The Cole Project for suicide prevention and music therapy. Black and Brave, started by SethRollins™ who is a huge music fan and the Warped community, is so excited to officially be a part of the tour this year and says, "For me, I think wrestling and music have always gone hand in hand. I've always loved Warped Tour and what it's stood for culturally as a place for kids who are different to come together and have a place to bond amongst music and the punk rock lifestyle. As someone who grew up listening to the sound of Warped Tour it's a real honor to have the Black and Brave brand be a part of it this year." truth gives teens the facts to make their own informed choices about tobacco use and inspires them to fight against tobacco in a unique way. In addition to keeping Warped Tour attendees dancing and playing games while creatively educating them about the tactics of the tobacco industry, they are also preventing hundreds of thousands of teens from starting to smoke and are working to make this the generation that ends smoking for good. Now in its 23rd year, the Vans Warped Tour, presented by Journeys, continues to solidify itself as the must attend festival over summer for rock and music lovers alike. In the tradition of celebrating the tour's musical roots, the lineup includes bands such as The Ataris, Sick Of It All, GWAR, American Authors, CKY, Municipal Waste, Neck Deep, Strung Out, Andy Black, Creeper, Anti-Flag, Save Ferris, Hatebreed and more. Music fans can purchase tickets for upcoming shows where they can check out great music, unique activations from all of these sponsors and more at http://vanswarpedtour.com/dates. The Warped Tour team shares "Thank you to all of our sponsors & partners, this tour could not be what it is without your continued support." To learn more about all of the Warped sponsors: http://vanswarpedtour.com/sponsors. Alternative Press readers voted the Vans Warped Tour as the "Best Tour/Festival" and Rolling Stone called it "America's Most Successful Festival".